Oh, I know it’s a bit early for the creepy crawlies, but I’m throwing caution to the wind because I love this Vampire’s Dream sparkling water and don’t want to wait another month to share it. So, forgive me. But you can pin it for later, right? So there’s that. 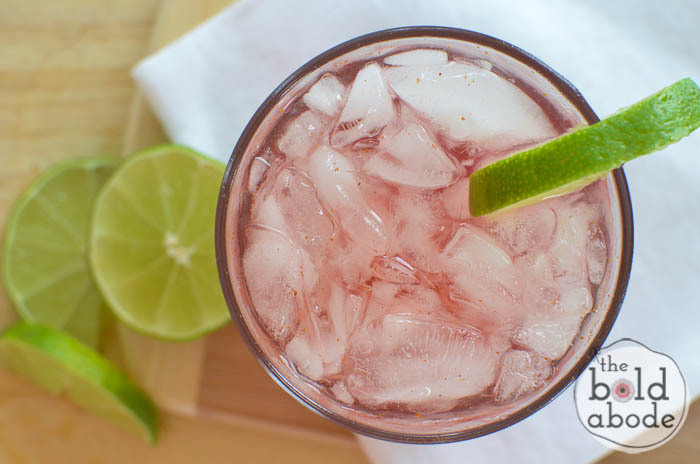 A sweet and spicy pomegranate and lime sparkling water for Halloween or anytime! Fill a glass with crushed ice and pour pomegranate juice over top. Mix in a pinch of cinnamin and a pinch or two of ground red peper. I went with two because one was not quite enough for me. 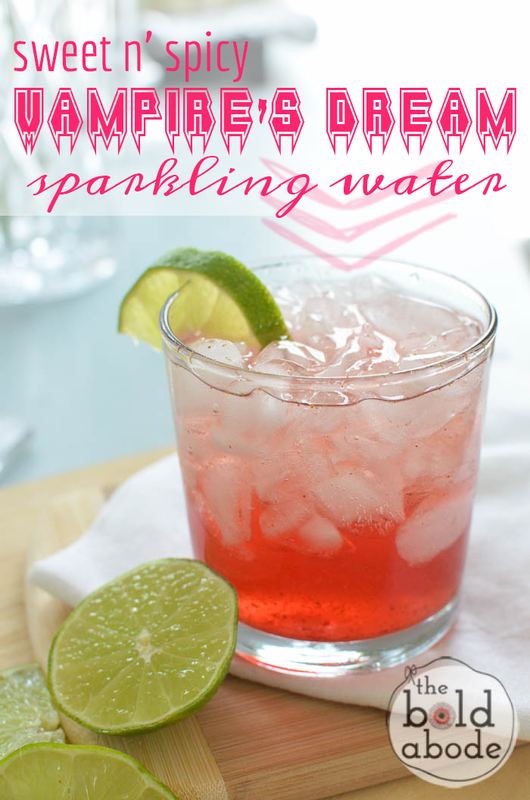 Top with sparkling water and squeeze lime wedge into the glass. Do you like spicy drinks? Melissa has a delicous Cayenne Lemondae you should totally try! Need some more Anit-soda ideas? Check these out!